Are you use to the time change yet? Daylight savings time occurred last week and the darkness creeps in a little earlier. Another change?! 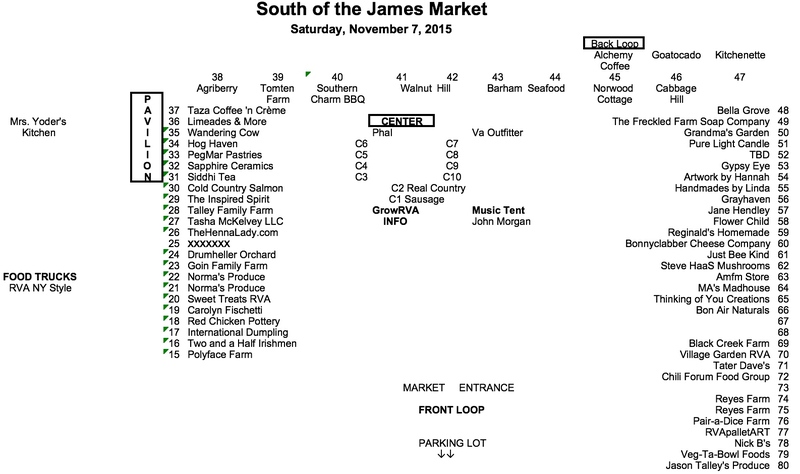 The GrowRVA South of the James Market hours are 9 a.m. – Noon. You get to sleep another hour, but you also have to wait one hour longer for a visit to your favorite farmers market. You can always use that time wisely by checking out the vendor map and making your list. 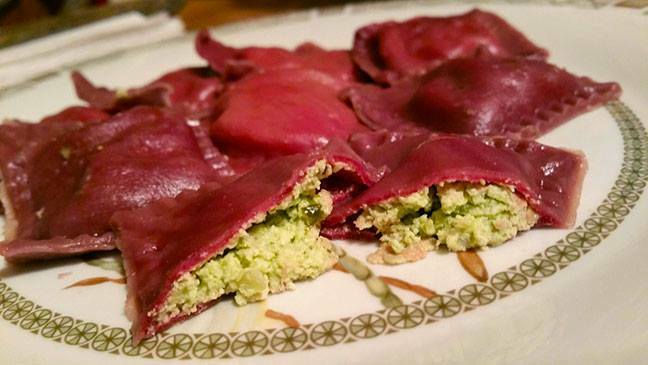 They will have limited quantities of one of their spring favorites this week – Beet Ravioli with Chevre and Pea! They were able to take advantage of a fall crop of peas and produce a very limited run of these favorite ravioli. Quantities will be limited, so make sure you get out early to get yours! 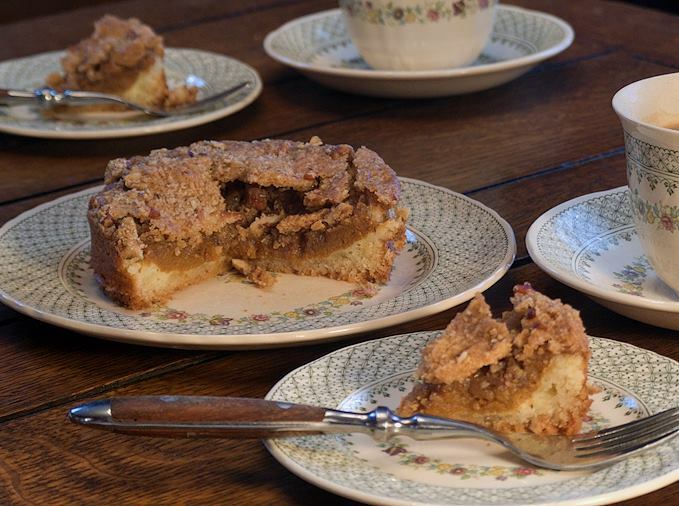 Check out the Coconut Cake, Ginger Cake with Apples and Caramel Sauce, and Pumpkin Pecan Torte (shown above), artisanal breads, muffins, Gingerbread and Double Chocolate Stout Cake. As always, make sure you try a new vendor tomorrow! Looking forward to seeing you tomorrow, 9 – Noon.